In a world of ordinary Web browsers, Opera 10 stands out from the crowd with innovative new features wrapped in an elegant, fresh interface. Opera 10 is absolutely free, comes in 43 languages, and works on Windows, Mac and Linux platforms. 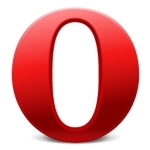 Opera 10 really does look fantastic, and has a decent list of new features. Interestingly enough, I haven’t found the most touted feature, Turbo, all that useful. I suppose I haven’t really used it on a slow connection however, and that’s what it is designed for. Speed. Opera now loads Facebook and Google Reader as fast as, if not faster than, Chrome. I used to leave Chrome open for those apps, but not since Opera 10. The big, beautiful new icon, as seen above. The updated interface. It’s slick, and I love the little circle notification when a tab has been updated. Visual tabs are also pretty neat. I also enjoy that I can get rid of the File menu. Spell checking built-in. Yes I know other browsers have this. Customizable speed dial! You can now increase the number of buttons on your speed dial. Built-in auto-updates. This is long overdue for Opera, and works quite well (I was using the betas and release candidates which got auto-updated). Favorites I mentioned about versions 9.5 and 9.1 are still relevant too! If you haven’t tried Opera, I encourage you to do so. It’s a fantastic browser! Others seem to think so too – Opera 10 was downloaded 10 million times during the first week of release. Pretty impressive.